The cerebellum has a complex architecture—highly reproducible and conserved through evolution. Cerebellar architecture is organized around the Purkinje cell. Purkinje cells in the mouse cerebellum come in many different subtypes, identifiable by expression markers, sensitivity to mutation, etc. These are organized first into five “transverse zones,” each of which is further subdivided into dozens of reproducible “stripes.” This arrangement serves as the scaffolding to organize afferent topography and restrict the distribution of excitatory and inhibitory interneurons. This brief review will survey some of the mechanisms that lead to the formation of this elaborate pattern during cerebellar development. Pattern formation in the cerebellar cortex is a multistage process that begins early in development with the generation of the various Purkinje cell subtypes, and matures through the dispersal of Purkinje cell clusters into stripes. Two developmental processes will be discussed in particular: the mechanisms that lead to Purkinje cell subtype specification (i.e., how different kinds of Purkinje cells are made) and the role played by Purkinje cell migration in pattern formation (i.e., how these Purkinje cell subtypes end up in a reproducible array of stripes). I am grateful to Giacomo Consalez (Milan), Hassan Marzban (Winnipeg), and Roy Sillitoe (Houston) for reviewing an early draft of this MS; my many friends and colleagues for over 30 years of collaboration on zones and stripes; and the Big Rock Brewery (Calgary), without whose constant sustinance the present essay might never have been completed. Reeber SL, Otis TS, Silitoe RV. Bergmann glia are patterned into topographic molecular zones in the developing and adult mouse cerebellum. Cerebellum. 2014; https://doi.org/10.1007/s12311-014-0571-6. Casoni F, Croci L, Cremona O, Hawkes R, Consalez GG. Early Purkinje cell development and the origins of cerebellar patterning. In: H. Marzban (Ed.) 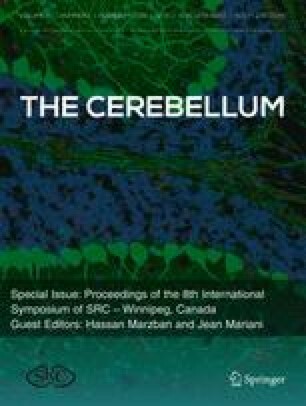 Development of the cerebellum—from molecular aspects to diseases. Cham Springer. 2017; pp. 67–86. https://doi.org/10.1007/978-3-319-59749-2_4.